A Satanic secret manipulator or a peacemaker claiming to represent Christ? Can the history of Israel be compared to the history of the Christians? 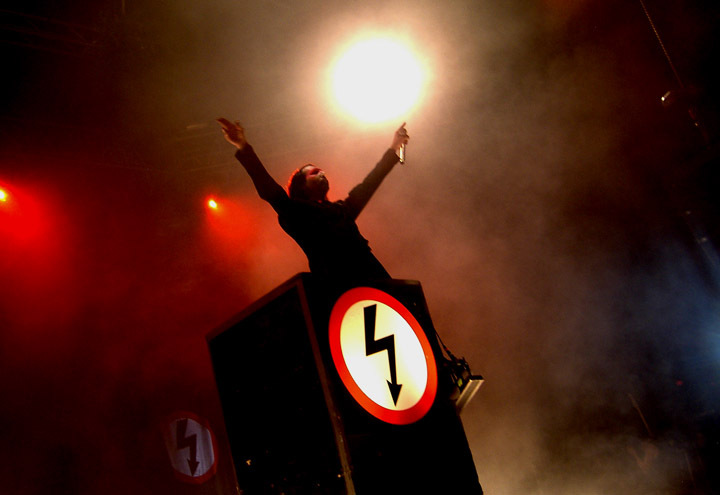 And if so, what can it tell us about the Antichrist? 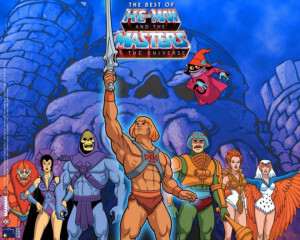 I was born in the mid-70s and got to be a child in the 80s. 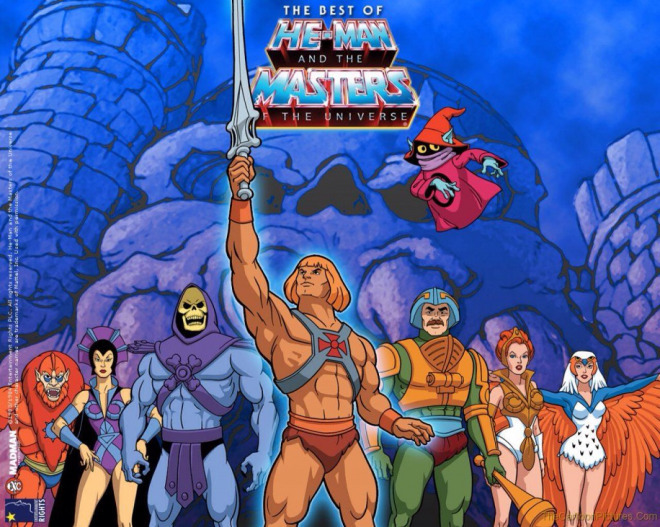 On the weekends I started the day with watching a marathon of cartoons. And it all went down the same way. An evil and a good person, or persons, trying to save someone from the evil. The evil was always depicted as ugly and angry, something it was easy to be disgusted with or someone you were compelled to dislike. 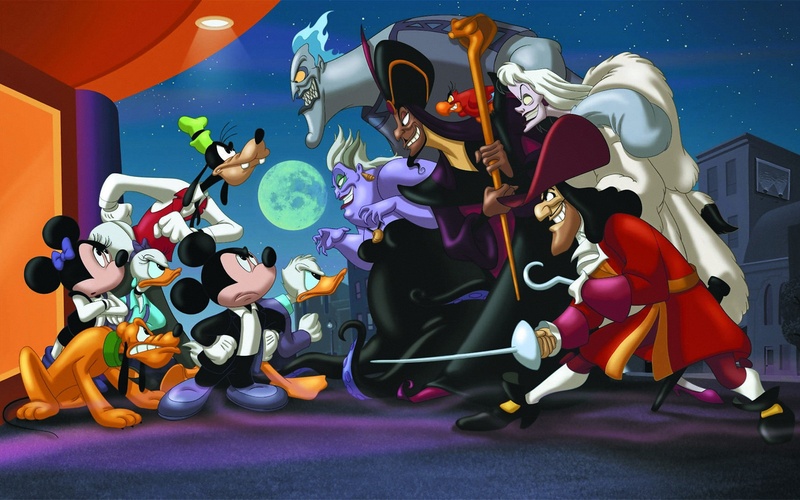 It was never hard to take sides no matter what cartoon series it was. The creators had already determined for the viewer who had the different roles. Still today many are brought up with these stereotypes that evil appears obvious, ugly and not compelling, and the protagonist is pretty. Research has even shown that you are more likely to succeed getting that really awesome job if you have the looks. Other researchers have presented many different faces to a group of people and asked them who they thought looked most trustworthy of everyone on the photos. They were amazed to see the results, the test subjects usually pointed out the people on the photos that looked most like themselves to be the most trustworthy. This is well known for anyone who researches the origin of racism. People are generally a bit afraid of anyone who appears different, or who have a different culture, mostly because it makes them insecure and worried about what to expect. And some allow that worry to be transformed to fear and then even hate. In Revelation 17 we see a woman riding a beast and on her forehead it says: «mystery Babylon the great, the mother of harlots…» (17:5) The word mystery can also be translated «secret». But why a secret? In Revelation chapter 12 we learn of a pure woman, who is persecuted by the dragon, but later in the same book we also see this other woman who have committed fornication, and she also has a name on her forehead, which is mystery. Now in the story of Juda and Israel they did fornication with idol worship, and it was because of this that they were referred to as an adulterous woman. So could the woman we see in Revelation 17 actually be an impure church with great influence? And her true identity is a mystery in how she is tied together with Babylon? Because if God’s people have been tricked into a form of ancient idolatry do they not match the corrupted church spoken of in Jeremiah? There are clues in the old testament that will help us identify and understand the meaning of the symbols in Revelation. After all there are several hundred references to the old testament in the book of Revelation. And we are not given to unlock prophecy by our own wisdom. We need to trust the revelations of the scriptures. Remember, the bible wasn’t written to the atheists but it was written to the believers. He clearly states that the man of sin gets to sit, and show himself as if he is God in God’s temple after there have been a «FALLING AWAY FIRST». So the church’s spiritual fall is what leads to the rise of a power. And why the reference to God’s temple? When God dwelt in the temple He dwelt over His law revealing His right as King and revealing His jurisdiction. From here He received people’s prayers for forgiveness and He granted them. From here He ruled over His congregation. If an anti-Christ is to sit as «God sitteth in the temple», then he must be placing himself as a form of leader or a lawmaker within a back-sliding church, and give himself authority only God has as judge and lawmaker for he is «shewing himself that he is God». The Greek word for God, «theos» (Θεοσ), is also used by Jesus in John.10:34: « Jesus answered them, Is it not written in your law, I said, Ye are gods? If he called them gods, unto whom the word of God came, and the scripture cannot be broken; Say ye of him, whom the Father hath sanctified, and sent into the world, Thou blasphemest; because I said, I am the Son of God? » (John. 10:34-36). Now Jesus isn’t saying people can become God Himself. He is quoting Psalms 82:6: «I have said, Ye are gods; and all of you are children of the most High.». You see the Hebrew word for ‘God’ wasn’t just used to describe God Himself. The word ELOHIM had a wider term and were also used on those judging over God’s people (on God’s behalf). Like in Exodus: «Then his master shall bring him unto the judges (ELOHIM); he shall also bring him to the door, or unto the door post; and his master shall bore his ear through with an aul; and he shall serve him for ever. » (Exo.21:6). And here: «If the thief be not found, then the master of the house shall be brought unto the judges (ELOHIM), to see whether he have put his hand unto his neighbour’s goods. » (Exo.22:8). 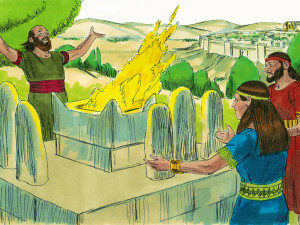 God Himself was the supreme judge, but in the old testament in Genesis we see elohim translated into the word ‘mighty’ about Abraham: «Hear us, my lord: thou art a mighty (ELOHIM) prince among us: in the choice of our sepulchres bury thy dead; none of us shall withhold from thee his sepulchre, but that thou mayest bury thy dead. » (Gen.23:6). Although Paul’s letter is in Greek, Paul himself was a Jew and a Pharisee with an understanding of the words in his own culture and religion. When Paul therefore says this ‘man’ will sit as God in his temple, he means he has placed himself in a supreme judging and overseeing position among God’s children. Now God have allowed many mediators in the old testament, but in the new covenant there would be no such mediators. «For there is one God, and one mediator between God and men, the man Christ Jesus; Who gave himself a ransom for all, to be testified in due time. » (1. Tim.2:5-6). If someone is ever again to be given the task of being supreme judge over God’s congregation, surely we can expect him to follow Gods laws and not advocate his own. But of the ‘man of sin’ we learn the following: «And with all deceivableness of unrighteousness in them that perish; because they received not the love of the truth, that they might be saved. » (2. Thess 2: 10). Many think this is speaking of non-Christians, but Paul’s warning is to God’s congregation and not to atheists. It’s God’s people that are at risk of being deceived by this claimed supreme leader among them. Remember he rises after a ‘falling away’. This shows how those who were meant to follow Christ first allowed themselves to be deceived to indulge in spiritual fornication and therefore this leader was allowed to come and deceive them into thinking they were doing God’s will. Paul explains further in chapter 4 of the same letter: «For the time will come when they will not endure sound doctrine; but after their own lusts shall they heap to themselves teachers, having itching ears; And they shall turn away their ears from the truth, and shall be turned unto fables. » (2.Ti.4:3-4). It’s the fallen church’s own sins that have caused this leader to surface, they wanted him and they accepted him when he came. Unfortunately, many Christians seems to think everything in Revelation is tied to the future. Many don’t think that perhaps this book reveals the history of the Christian church from it was written and until Christ second coming. Many also think that it will all happen in sequence as it is written. However, a quick look at the book of Daniel reveals how God’s revelations are being repeated, but with new details added every time. For instance, the vision of the statue gives a quick look into the future of powers persecuting or subduing God’s people until Christ second coming. But in chapter 7 we are told the same again but with more details. We get some parts repeated again in chapter 8 but with even more details and the same with Daniel 9, 11 & 12. It’s full of repetition. Now, given the pattern we see in the book of Daniel, maybe we can expect the same to happen in the book of Revelation. Also, because the book of Daniel covers the time up until Christ second coming, we will most likely find John covering a timespan that is mentioned in Daniel but John having a lot more insight and detail. If this is the case, we can assume that perhaps the seven churches mentioned is actually in sequence, showing God’s church from John’s time and until Christ second coming. The other following visions might also be from his time and until Christ second coming and so on. We can also see how this is a church suffering great persecution: « Fear none of those things which thou shalt suffer: behold, the devil shall cast some of you into prison, that ye may be tried; and ye shall have tribulation ten days: be thou faithful unto death, and I will give thee a crown of life. » (v.10) The church following the first apostolic church was indeed severely persecuted by the roman empire and people. Jesus tells them to repent. But we also see martyrs in this church. «even in those days wherein Antipas was my faithful martyr, who was slain among you» (v.13). Now who is Antipas? Is it a person or a group of people? In the whole bible, this is the only place this word is used. The word can be split into two parts, «anti» and «pas». The first part can obviously mean instead of or against. The second part, according to Strong’s Concordance, is from ‘patēr‘ (πατήρ), which is the Greek word for father. Whoever this group that was martyred was, we see that they might possibly be against (anti) a father-figure. And this father-figure is not God, because He says that they are His people. So it’s an earthly father-figure they oppose, which actually leads to them suffering martyrdom. We know that the next power to martyr Christians after pagan Rome, was papal Rome. The title ‘Pope’, of course, means ‘Father’. Could this scripture actually be speaking of the people who opposed appointing a pope to lead the church? We see the appearance of an anti-pope group emerging along with a church falling away. Could this be the very time Paul spoke of? We know from history that the papal church mixed the old roman religion into Christianity. The next time span of the churches in Revelation, John continues to speak of the fornication of the church. This time the church is called Thyatira. But it also reveals to us that God’s church has become divided: «Notwithstanding I have a few things against thee, because thou sufferest that woman Jezebel, which calleth herself a prophetess, to teach and to seduce my servants to commit fornication, and to eat things sacrificed unto idols. And I gave her space to repent of her fornication; and she repented not. Behold, I will cast her into a bed, and them that commit adultery with her into great tribulation, except they repent of their deeds. And I will kill her children with death; and all the churches shall know that I am he which searcheth the reins and hearts: and I will give unto every one of you according to your works. But unto you I say, and unto the rest in Thyatira, as many as have not this doctrine, and which have not known the depths of Satan, as they speak; I will put upon you none other burden. But that which ye have already hold fast till I come. » (2:20-25). This church is in deep trouble. Here we see many similarities to other places in the Bible. 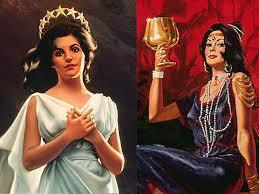 We see Jezebel who was a pagan woman that married into Israel, and then corrupting Israel. The marriage between this pagan woman and the leader of Israel was what eventually lead to Israel’s destruction. The Christian church did the same thing when they adopted and practiced pagan rites, and also Christianized them. The woman that is mentioned in Revelation 17 has also committed fornication with kings of the world. She is described to have children both here and in chapter 18. Both places they are condemned. In Revelation 18 we learn that we must ‘leave her’ and not partake in her sins. The same message is given to this church. Here we also learn that the church will be rejected by God and He will continue with those who do not partake in the fornication. We should therefore soon see a reformed church. The next church is Sardis. They are clearly in the aftermath of the last church. «Be watchful, and strengthen the things which remain, that are ready to die: for I have not found thy works perfect before God. Remember therefore how thou hast received and heard, and hold fast, and repent. …Thou hast a few names even in Sardis which have not defiled their garments; and they shall walk with me in white: for they are worthy. » (Rev.3:2-4). They have started, but have not yet reached the goal of reformation. We know that after the middle ages a reformation movement started. But many places the reformators continued to believe in many of the false teachings of the church before them, and even persecuted brethren. They had started a journey but were far from where they needed to be. Remember that in the time of John there was no ‘Christian church’ but messianic Jews and pagans joining this Jewish group that believed in Jesus. Paul taught about Jesus in the synagogue and there were no Christian church buildings at this time. Jesus could therefore not use the term «Christians» as neither that was in use at that time. The word ‘Jew’ was tied to God’s people. As Paul said: «But he is a Jew, which is one inwardly; and circumcision is that of the heart, in the spirit, and not in the letter; whose praise is not of men, but of God. » (Rom.2:29). 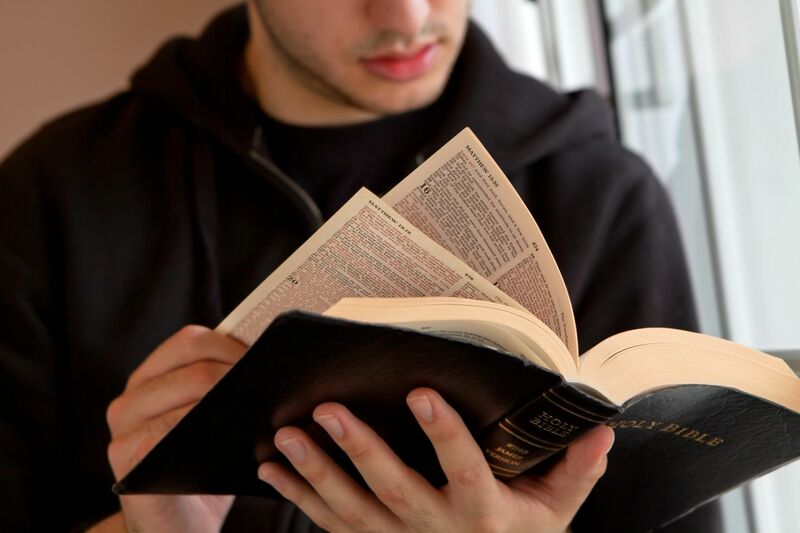 It is therefore not likely that the term ‘Jew’ mentioned to the second church and the sixth church is really referring to the messianic movement or the Christians. To this church, as it is reformed from corruption, Jesus continues to say: «Because thou hast kept the word of my patience, I also will keep thee from the hour of temptation, which shall come upon all the world, to try them that dwell upon the earth. » You would think all is well now, but it is not. The last church is Laodicea, and it has become so lukewarm that it is the only church God has nothing good to say about. It’s certainly a continuation of the previous good church, but they have backslidden into a loveless relationship with God, leaving Jesus on the outside knocking rather than dining inside. This couldn’t fit better with God’s church today. Only about a 100 years ago we find a reformed church with high morals and great zeal for the truth. Today we see Gods’ people stuck in front of the TV and computer screens rather reading the Bible. No one seems to have time for Him or His word even though it’s never been more accessible. There is no place to go, everywhere the world is flooding in on God’s people. Laodicea has fallen asleep, which actually fits the state of a TV viewer. Scientists have proven that the television leaves the viewers in an apathetic state. They think they have the truth, but they don’t live it. And if the truth is not reflected in their lives, they will be lost. Christ earnestly urges them to wake up and get aid so they can see their true situation, so that they can open the door and let Christ in. The last time God’s church had a falling away after first being pure, the man of sin was revealed. Could this last church passive and blind state cause the man of sin to perform his final deceptions? Revelation 18 tells God’s people to get out of ‘her’ before it is too late. How did they end up partaking in her sins yet again? I now want to compare the history of the Christian church with the history of Israel to show how the same thing have happened before. Remember what Paul wrote about, his people being broken off and the heathen being grafted in on the stem? « And if some of the branches be broken off, and thou, being a wild olive tree, wert graffed in among them, and with them partakest of the root and fatness of the olive tree; Boast not against the branches. But if thou boast, thou bearest not the root, but the root thee. Thou wilt say then, The branches were broken off, that I might be graffed in. Well; because of unbelief they were broken off, and thou standest by faith. Be not highminded, but fear: For if God spared not the natural branches, take heed lest he also spare not thee. » (Rom.11:17:21). How often do not Christian churches speak of how Judah and Israel failed God. We shake our heads in disbelief over their bad choices and stupidity of not recognizing their Messiah and therefore killing Him. They cast Jesus out of the city. But the last church in Revelation have cast him out of their house, and they haven’t even noticed that they have become spiritually poor. How many years did God give Israel and Judah to get back on the right track? Well the Christian church have done everything they did and more, and even worse for an even longer time span. We ought to shake our heads in disbelief like John did when he saw the harlot in Revelation 17. It says: «when I saw her, I wondered with great admiration [wonder]. And the angel said unto me, Wherefore didst thou marvel? » (Rev.17:6.7). We should cover ourselves in ashes and cry. For the Christians started oh, so well. They suffered greatly, but were true. But then they had a great, great falling away. 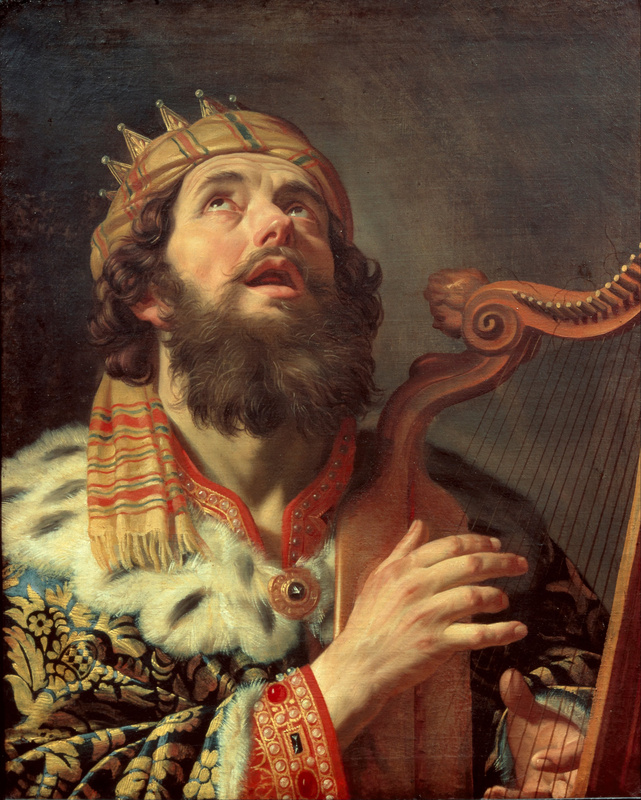 During David’s reign the kingdom continued to expand, but something happened. After David came Solomon, and the greatness of the kingdom was widespread. So much that even the Queen of the South came to meet and see the kingdom with her own eyes. The kingdom had peace and prospered. They were very influential and many followed their example. In the same way, the first church reached to the ends of the world with the gospel. They had great success in getting the word about Christ and the good news of His salvation out. Many church groups gathered in groups in the south, east, north and the west. Although Christianity had experienced severe persecution from the roman empire, something was about to change when emperor Constantine converted to Christianity. He started converting pagan sites into Christian sites, and started mixing the two religions. A false sense of peace and security rested over the people of God. Constantine’s conversion was most likely tied to regaining popularity, and also political reasons. The same was the case with Solomon. He started to marry pagan princesses from countries around him. Perhaps his attention was to create peace, but this was hardly the results. His wives wanted to continue their pagan practices, and after some time of persuasion he believed himself to be an open-minded peacemaker when he allowed them to worship their gods on the hills surrounding Jerusalem. Not long after, God’s own people started following their lead and indulged in pagan worship. They hadn’t rejected the temple service, or worshipping God there, they just did both and went ahead and created a mixed religion. This is exactly what happened to the Christian church. They went from pure to corrupted as they started mixing pagan customs with biblical principles. It probably created peace and acceptance from the pagans, but ultimately it was a falling away from the truth. The church and Solomon committed the same sin, and the results were very similar. But the question is, will we in both these cases of falling away see a leader figure in the midst of God’s people who lead them astray? became king over the ten other tribes. He was king of the north kingdom, and Rehoboam was king of the south kingdom. In the same way the Pagan-Christian mixture lead to a division in God’s church. In one of these divisions a Pope rose and seized the leader position. Many don’t know about this because the catholic church has done all they can to remove information tied to an early controversy of the papal power, and that the church prior to the papacy had many divisions. This continued also after the pope emerged. The eastern church refused to accept the pope and Rome as the center of Christianity. But not only them, smaller groups of Christians where persecuted by the papal power for resisting his self-claimed right to rule over them. The pope was later granted the rights to judge heretics within the faith by the roman emperor, the red dragon, himself. This made the pope a supreme ‘judge’ within the church. Not only that, but the pope favored an altered law of God and claimed the right to judge according to that law instead of God’s original, unaltered law. Thus the Pope also became the lawgiver of the church, as well as judge. Now, in the old testament there were judges instituted by God, but they were required to judge with God’s law as an absolute guideline. The pope, however, refused to use God’s law as the guideline and used his own version of it. In addition, along with his priests, he placed themselves in a position where they could grant people forgiveness and atonement for sins. All these three pointed to the pope as the man of sin that Paul had referred to. He came after the falling away, he sat as judge among God’s people, as a lawgiver and as the one that granted atonement/forgiveness. All these were the positions God had in His Temple. He rested above His law, He granted atonement through the sacrifices given in the temple, and He was a judge in disputes. 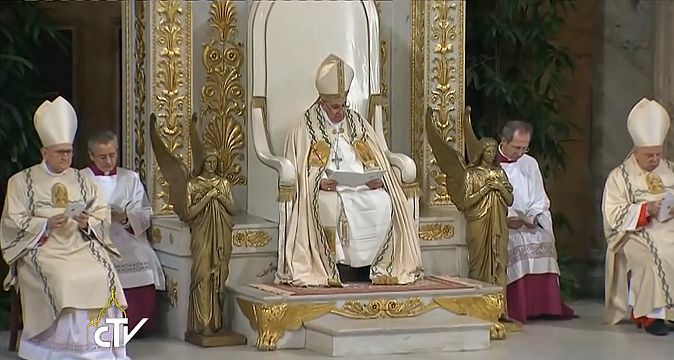 The special change the pope made was allowing statues in worship, although the Torah clearly states that God does not want to be worshipped in this way (Deut. 12:3-4). But there were many other pagan rites included into the church service. Part of the reason for the split between the eastern and the roman church, was that the pope was changing the time of Passover. But this specially ordained time by God wasn’t the only thing he changed. The pope also determined that God’s Sabbath, as it was written in the ten commandment law were to be disregarded to make way for the newly elected Sunday-Sabbath. Daniel prophesied that the man of sin would do exactly this: «And he shall speak great words against the most High, and shall wear out the saints of the most High, and think to change times and laws: and they shall be given into his hand until a time and times and the dividing of time. » (Dan.7:25). But why does this matter so much for God, that He mentions it as if it was this huge violation? Well changing times and laws are an act reserved for God alone. Whilst taking this upon himself, the antichrist was stealing God’s people, from being loyal to God, shifting their loyalty to himself. And by doing that he is challenging God Himself. It’s believed that part of the reason this change was made was because the church wanted to distance themselves from the Jewish roots and jews, who at that time were hated very much. Ironically God first ordained Jews to spread the gospel in order for it to be shared in the right setting. Removing this made the church loose a very important foundation. A church council at Laodicea even claimed that those who kept the true ten commandment Sabbath were Judaizers, meaning sympathizers with the Jews. So far the great witnesses to the Christians falling away from truth, was the Jews who knew the laws of God. But as we are about to see, this is just history repeating itself. The same motives and actions have all been done before. 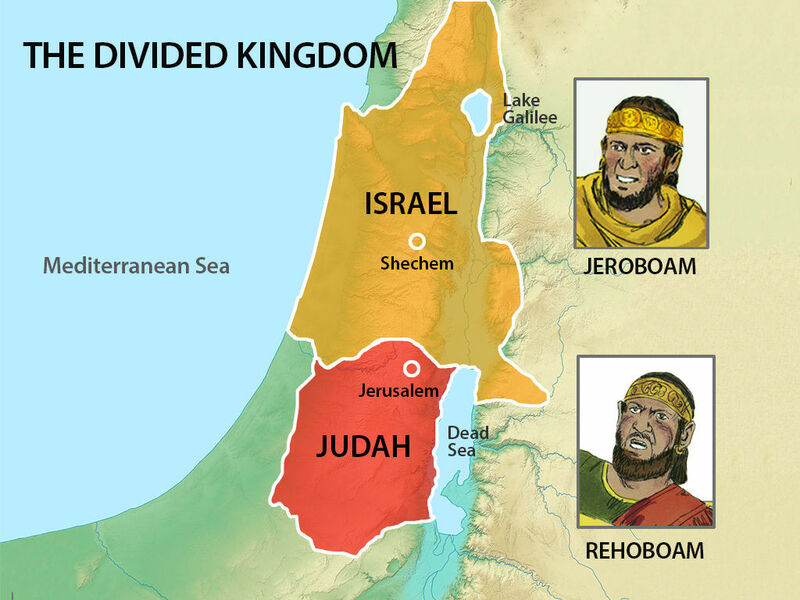 But at that time it was about the divided kingdom of Israel and Juda. 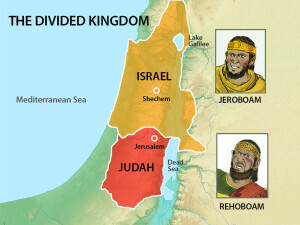 Jeroboam got the largest part of the tribes, with ten of them under him. 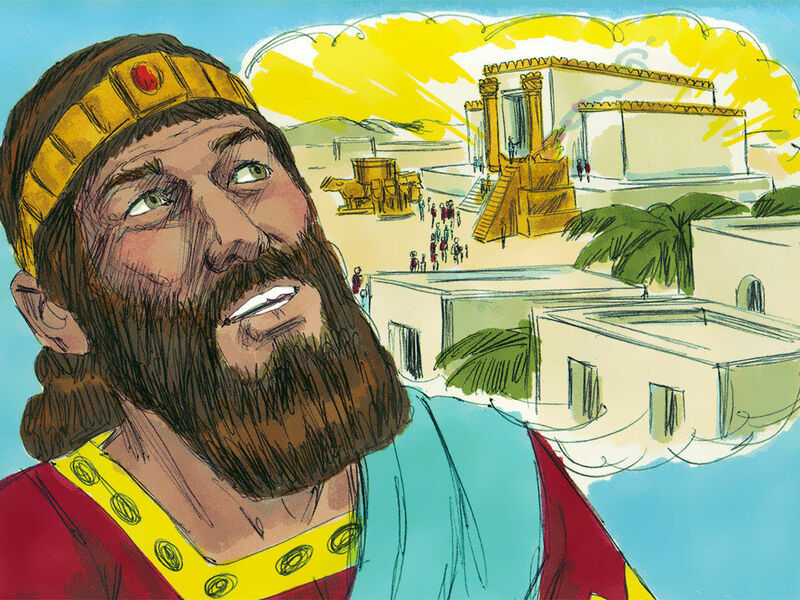 But Juda still had God’s chosen dwelling place and the temple where the Ark and God’s law was located. This made Jeroboam nervous; would he lose his kingdom to Juda as time went by? «And Jeroboam said in his heart, Now shall the kingdom return to the house of David: If this people go up to do sacrifice in the house of the LORD at Jerusalem, then shall the heart of this people turn again unto their lord, even unto Rehoboam king of Judah, and they shall kill me, and go again to Rehoboam king of Judah. » (1. King.12:26-27). How was Jeroboam going to be able to keep his authority over Israel? He thought he had to create a false worship that would compete with the real worship. 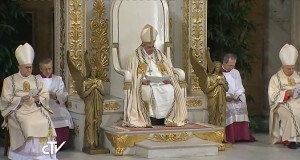 He then sets up two calves of gold, one in Bethel (Bethel means God’s house), and the other in Dan (Dan means judge). He then said to the people: «It is too much for you to go up to Jerusalem: behold thy gods, O Israel, which brought thee up out of the land of Egypt. » (12:28). He had placed two golden calves in ‘Gods house’ and in ‘judge’, claiming these calves also represented the same God that lead them out of Egypt. He claimed it was the same god, but the style of worship was mixed together with paganism. This is the same exact thing the pope did. Rather than keeping the Jewish roots of Christianity, he claimed that they worshiped the same Christ with him, and then he allowed them to pray in front of images, and he tried to make Rome the new Jerusalem. Talk about history repeating itself. The pope wasn’t content with the influence over the majority of God’s church. He proclaimed his authority by changing God’s feast days and Sabbath day just like Jeroboam did. The Bible leaves us no room for doubt when clearly showing us how God feels about a ruler making such a bold move to insure his power over the people. He claimed to represent God but He didn’t represent Him at all. He represented himself under the guise of false spirituality. Then we see a strong symbolism in the following events. God had told his prophet to not eat or drink with anyone in this land: « For so was it charged me by the word of the LORD, saying, Eat no bread, nor drink water, nor turn again by the same way that thou camest. » (13:9). In the gospels, both bread and water are used to symbolize Jesus. He said He was the bread from heaven, He also said He was the living water. The reason God refused to allow His prophet to eat here, could have a great symbolic meaning considering that a similar situation would occur withing the Christian church. There would be multiple sides claiming to represent Christ, but they were not all telling the truth. The Christ the papal power offered to the people along with it’s spiritual fornication, was not the same Christ that we are to receive. It’s a fake Christ that cannot save anyone, as their Christ has been stripped of his power as judge, the priest now offer atonement and the high priest is the lawmaker. We are not to eat or drink their Christ. Another meaning with the restriction could be that dining with someone in those days were considered the same as entering into an agreement or covenant with someone. But God’s man was not allowed to do this. Today the Christian churches have united together in different groups, but the Bible warns us of going into union with any group mixing paganism with the true worship of God. And if this story also gives this warning, we need to know what the outcome of it will be. What happens next is terrible. As a punishment a lion comes and kills God’s prophet that had spoken to Jeroboam, and when the lying prophet sees him dead because of his deception, he places him in his own tomb where he himself later also is buried. Thinking about this messenger of God, this seems like a harsh judgment for believing a lie. But this whole story might be one big warning to the Christian churches. Remember, in the bible the lion is also a symbol of Christ. The old prophet appeared to be on the same side as the man of God in this conflict with Jeroboam. He then lies to him, and the man of God decides to let this man’s word take precedence before God’s word. He put him in as a mediator when God clearly had already stated His command. There are two possible interpretations here. The first is how the Christian church, although having knowledge of Gods law, agrees to put it aside because a self-claimed mediator claims to have a revelation from heaven. Trusting this man before God’s clearly expressed word leads the man of God to a different Christ represented in the ‘bread and water’ he is being given. Or he goes into a union with him by eating in his house. This shows that perhaps both violence and deception is used to offer the false version of Christ. As Jeroboam tried violence and failed but the false prophet used deception and succeeded. The Antichrist is someone claiming to represent Christ, who come with messages of peace and forgiveness, but at the same time is challenging the authority of God. The Antichrist is risen in a fallen church as a result of mixture of truth and lies. Antichristos means «an opponent of the Messiah». How did we learn that Satan tries to fool God’s people? Transforming himself into an angel of light or the workers of righteousness. What a better way to become Christ’s opponent then by just taking his place on earth, as head of the church, and then offer them a false sense of security under a false gospel? 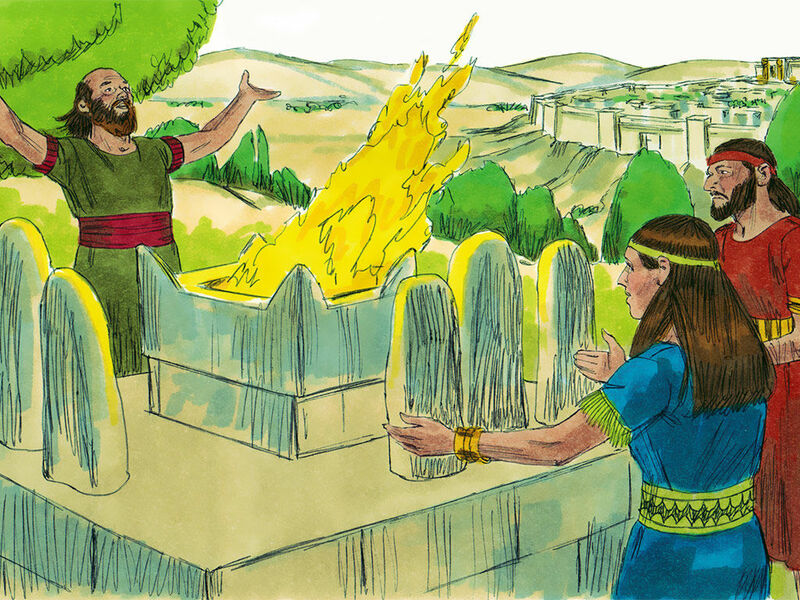 When Jeroboam wanted to strengthen his power and hinder the people from going to the true temple of God, he did it by offering an alternative worship under the guise of being true worship. For who would be your greatest enemy. One openly stating a disagreement with you, or one claiming to represent you, but lying and distorting your own words? Who would be the greatest threat to your plans and authority?